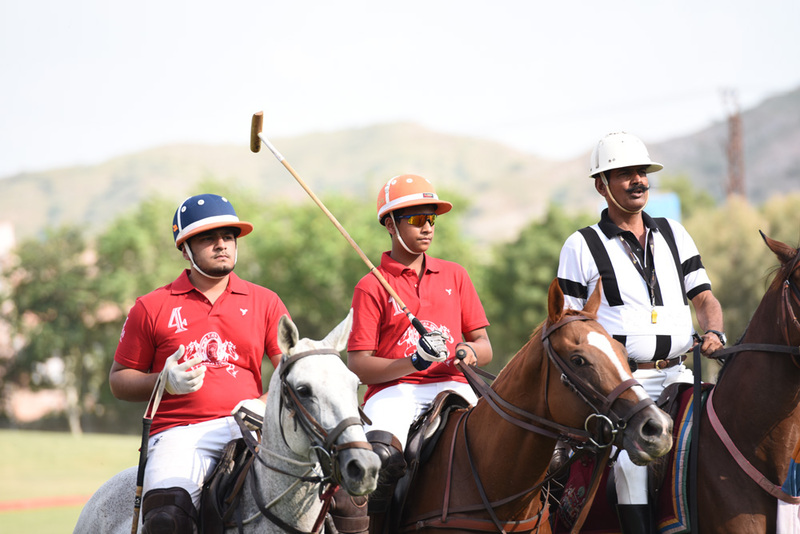 Games and sports play a pivotal role in one’s life. 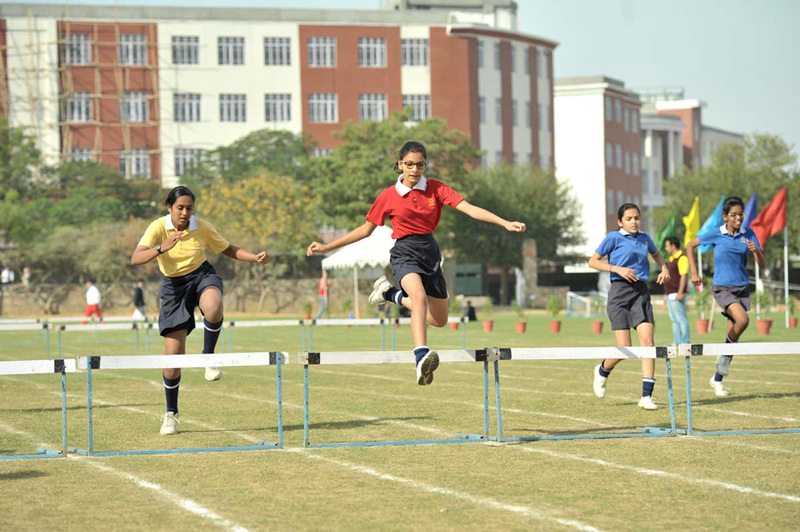 Neerja Modi School has taken special care to plan its building and layout in such a way that considerable amount of land is set apart for play which include out door sports, indoor sports and activities. 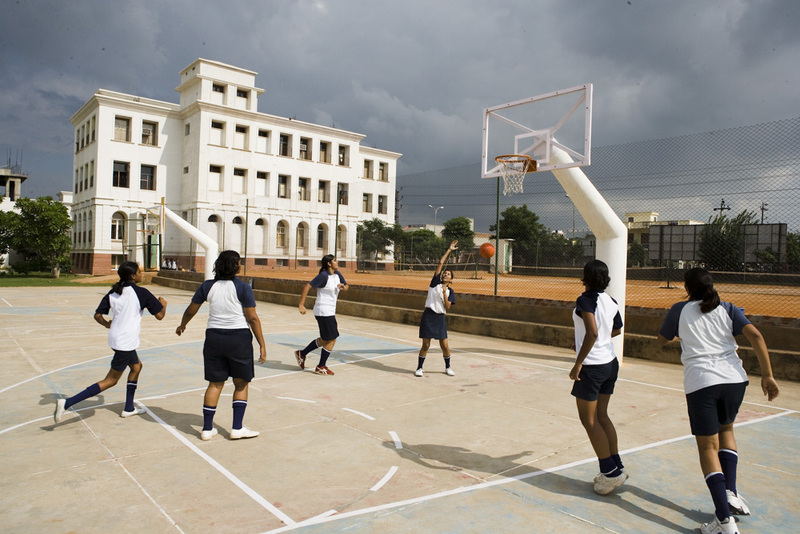 The school has five fields and a 400 meter track with courts for Tennis, Basket Ball, Volleyball, Archery, Boxing and nets for Cricket and Squash. 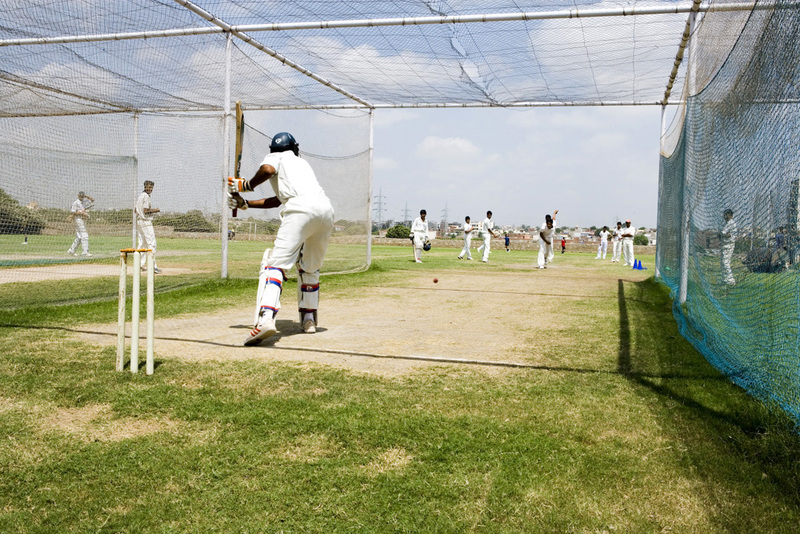 The Cricket grounds of NMS are of International standard. The Neerja Modi Cricket Academy has had the proud privilege to host the ICC Practice Matches between Team India and Team Pakistan. The dressing rooms for the players are designed in such away that it offers modern amenities to them. Swimming is a part of the school curriculum. The school’s 25 m. x 12.5 m. swimming pool is approved by the International Swimming Organization for schools. Besides, plans are afoot to build a Gymnasium with an Indoor Badminton court or two. 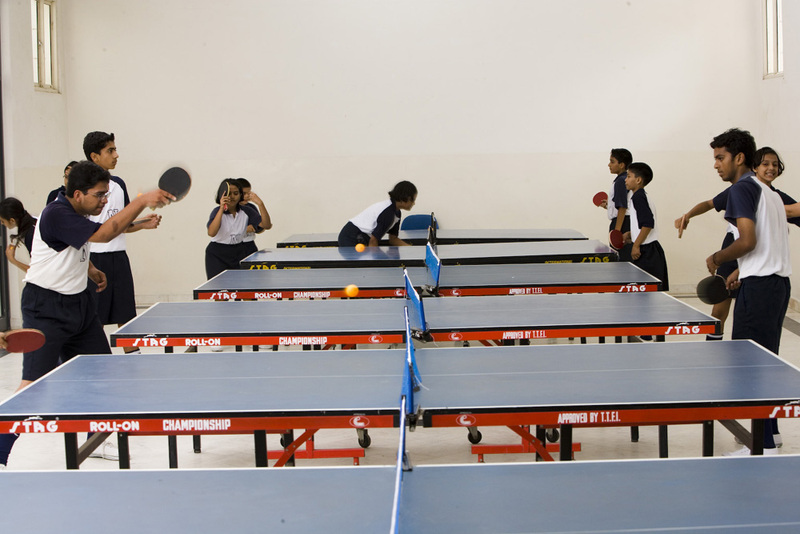 The school also has provisions for Aerobics, Judo and Boxing with the latest equipment for workouts. To create awareness of the necessity for organic vigour and efficiency through physical fitness. To develop knowledge and understanding of the requirements of healthy living, nutrition, exercise and relaxation. To create awareness of the necessity to develop a good posture and physical poise. To develop knowledge and understanding of skills that will be useful as leisure time activities and those of recreational nature. To create opportunities to develop esprit de corps, courtesy, sportsmanship, social skills, democratic conduct and ideals. All in all the school has an integrated programme. Each grade of 32 students are split into units of 4 or 5 children who get specialized coaching for 40 minutes in one game or the other. All sports activities are conducted under the supervision of qualified coaches of National and International repute. 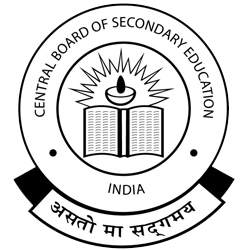 The school children regularly participate in national and international events and are winning laurels for the school. Vihan Khandelwal grabs National Record for 4-kms non-stop skating. A two day Inter-School Chess Competition was held at Neerja Modi School on April 26 and April 27, 2018. Students from Sr. KG to Grade XII participated in the event. A three days open FIDA rated International Chess Tournament was held at Utsav Bhawan, Vidhyadhar Nagar from August 9 to August 11, 2018. Neerja Modi School Girls & Boys Football Teams secured the 1st position in Sahodaya Festival 2016 Football Tournament held from September 7 to 9, 2016 at Edify World School. NMS Cricket Team and Kabaddi Team secured 2nd position in Sanskriti -2016 Inter school Competition organized by Jhanki Devi School from August 22 to August 26, 2016. Neerja Modi School Girls & Boys secured the 1st position in Sahodaya Festival 2016 Table Tennis Tournament held on August 9 & 10, 2016 at SRN International School. Our students won 2 Gold Medal and 8 Bronze Medals in Inter School Swimming Championship held at Gyan Vihar School, Jaipur on July 29, 2016. Our students won 1 Gold Medal and 11 Bronze Medals in Inter School Swimming Competition 2016 held at Tagore International School, Jaipur on July 30, 2016. Interschool Chess Competition 2016 was organised for Grade Sr. Kg to V students on July 20, 2016 to popularize the game and develop the sportsman spirit among the students. 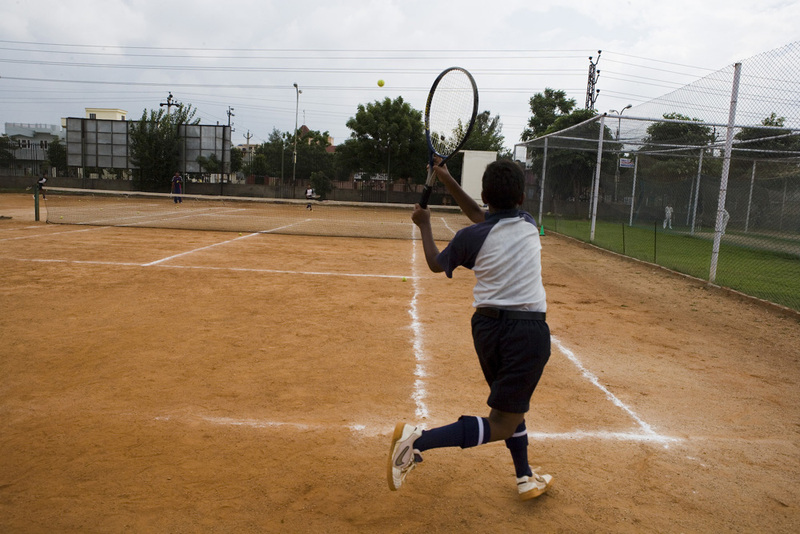 To our Tennis Players of the Jaipur Summer Open District Level Tennis Championship held between June 25 and June 30, 2016. Junior NBA Coach Mr. Daniel and his team enthralled the students at the Basketball Clinic at NMS. Our school Tennis Sub Junior Team won the Jaipur Premier Tennis League organised by Rajasthan Tennis Association held at SMS Stadium Sports Complex from October 21 to October 25, 2015. 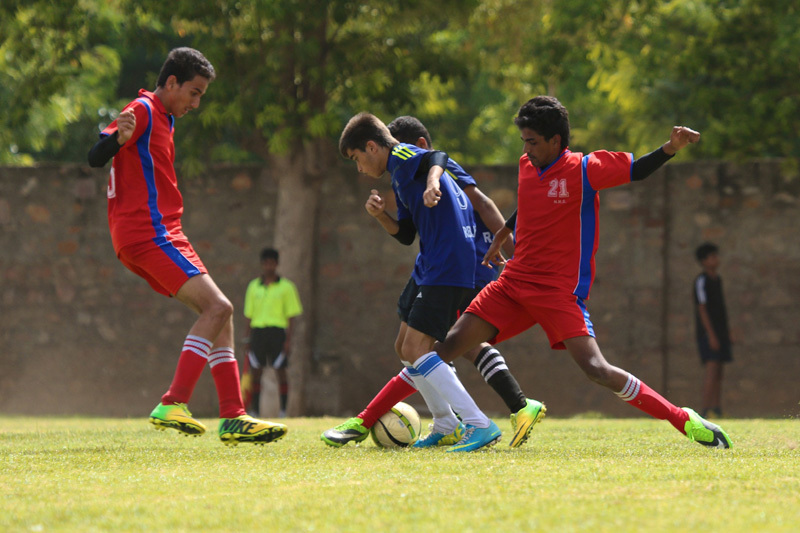 Neerja Modi School Boys Football Team secured Runners up position in Jaipur Super League held at Sanskar School organised by Kooh Sports. Neerja Modi School under 17 Girls Team participated in 61st National Level Lawn Tennis Competition organised by School Games Federation of India in Hyderabad from 16 October to 20 October, 2015.